Designed to provide as much toilet tissue as possible for a single roll, this toilet paper manufactured by Kimberly Clark comes in a coreless variety. Due to the elimination of an inner core, there is less packaging wasted than standard roll bath tissue, giving it the potential to eliminate millions of pounds of garbage from the environment. 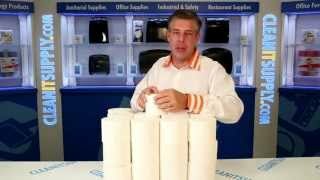 Scott Coreless Toilet tissue meets EPA Guidelines for post-consumer waste. 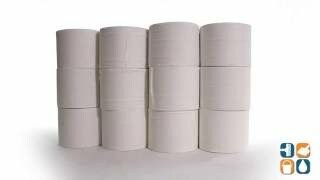 Each 2-ply roll has a 4" x 3.9" sheet size and 1,000 sheets per roll. Includes 36 rolls. Order yours today. Buy in bulk and save more!